Race Aluminium Starting Platform with adjustable track start and new backstroke start wedge. 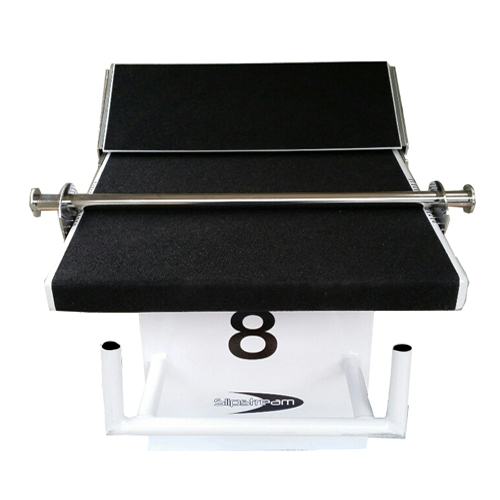 This platform is the latest version of racing platforms and is similar to the platforms used at the Rio Olympics with an adjustable track start and also has the adjustable back stroke wedge allowing the swimmer to get the best backstroke start. SKU: c9f0f895fb98. Category: Starting Platforms. The Race Platform is manufactured from industrial grade aluminium with a powder coating protective layer which makes it rust and weather resistant. It comes with the Slipstream adjustable back which is manufactured from laser cut stainless steel for precision adjustment and durability. 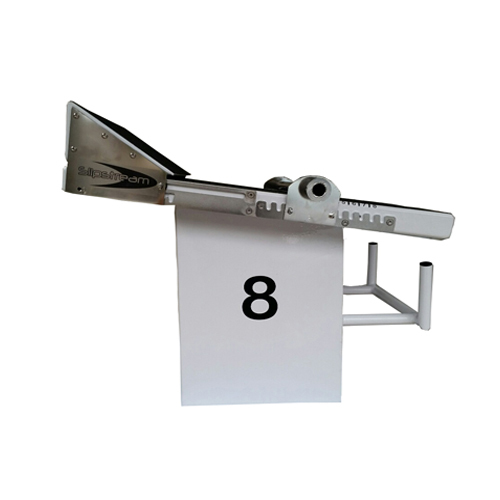 It has a non-slip surface, and stainless steel backstroke handle. Each block is numbered on 4 sides according to the lane. The platform top is adjustable from 70cm x 50cm to 50cm x 50cm and they height from the pool deck to the top of the platform is 50cm. The race platform also has the new adjustable backstroke wedge start which allows the swimmer the best start possible. This platform is similar to the platforms used at the Rio Olympics.